The Men’s Health Education Rural Van is back on the road with a jam-packed 2019 tour, offering FREE Men’s Health checks. The Men’s Heath Education Rural Van is a Rotary project made possible by fundraising, generous sponsorships and time freely given by hundreds of Rotary volunteers. A custom built caravan with a dedicated Registered Nurse travels the state of New South Wales offering free health screenings to regional and rural men, who are notorious for being completely in the dark about the state of their health. 30 Years Of Caring – Anniversary Keyrings! Karumah is celebrating our 30th birthday this year and we have so many exciting things in the works to commemorate an incredible ongoing journey. 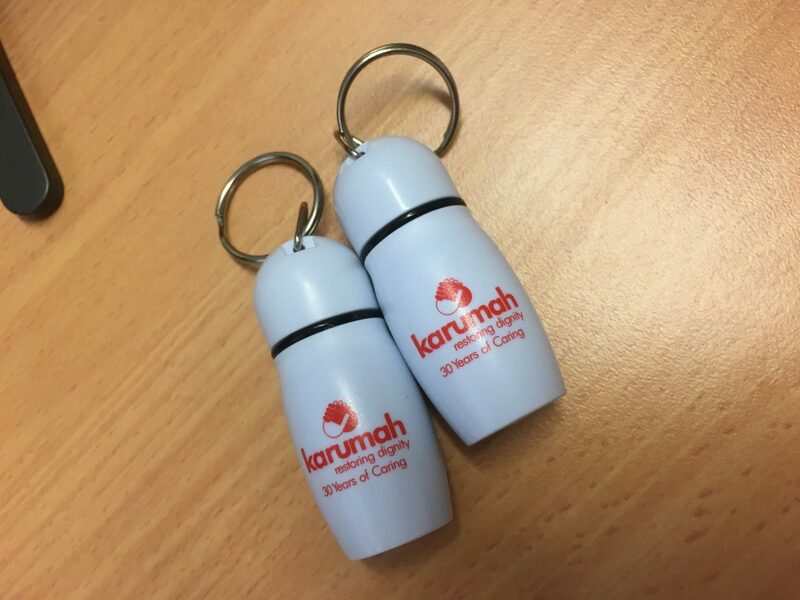 The kind and generous folk at Fresh Promotions are helping us celebrate by donating these very special Karumah-branded keyrings for us to giveaway over the course of the year. These aren’t any ordinary keyrings! They are specially designed to hold tablets and pills to help you store medications on the run. They have an airtight seal to keep the contents safe and drive and are discreet and portable. 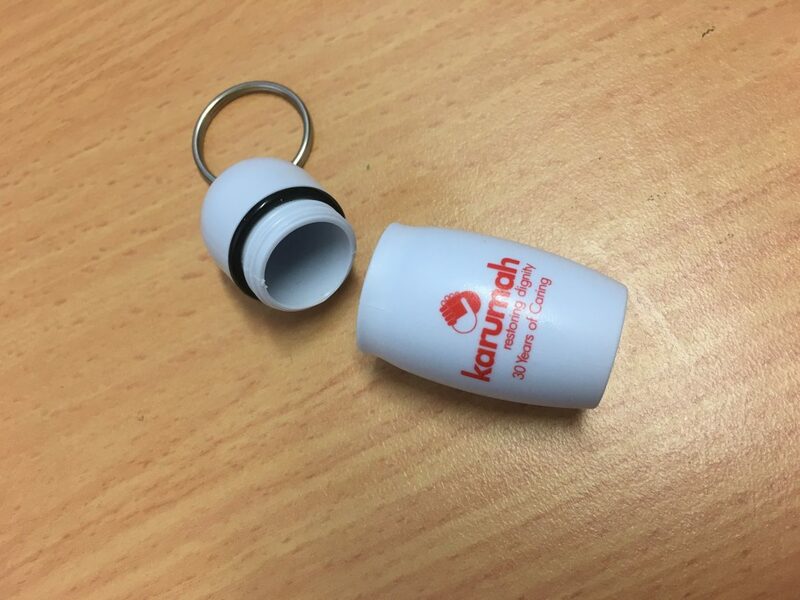 If you would like one, either come along to a Karumah event this year or contact Peer Support Officer Aly at peersupport@karumah.com.au and she will make sure one gets to you. Thank you again Fresh Promotions for supporting Karumah!